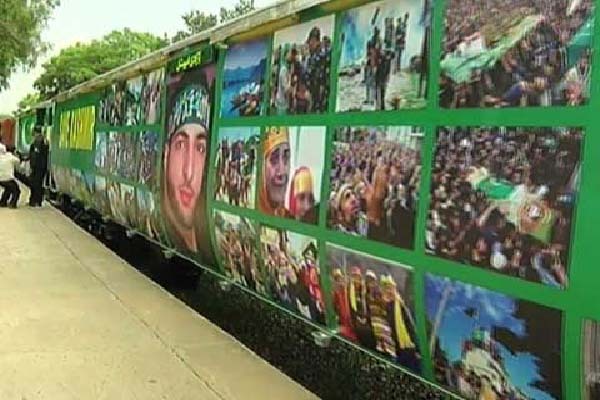 KASHMOR, Sept 9 (APP): A large number of people here on Friday warmly received special Azadi Train. A month-long Azadi Train arranged by Pakistan Railways in collaboration with Ministry of Information, Broadcasting and National Heritage started its journey on Aug 11 from Islamabad. Officer Incharge Azadi Train Muhammad Ali Chachar told APP that Azadi train will reach Dera Ghazi Khan after short stays at Mithon Kot, Rajanpur.